Your master bathroom is your oasis. And in your soon-to-be-built home, you want your master bathroom to be the pinnacle feature of your abode. You’ve poured yourself into every design feature and facet of that bathroom. Perhaps the master bathroom embodies your spirit. OK, let’s not get carried away. 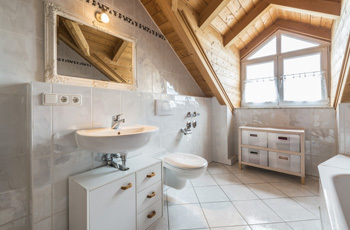 Instead, let’s talk about some design features that you may consider when you commission a DrafterMax architect for your bathroom design. Do you want a clean, bright look for your bathroom? Or a warm, cozy escape? Consider the materials on the walls of your upcoming restroom. Will you opt for floor-to-ceiling tile? No, no. You’ve always wanted to install water-resistant wallpaper – the baby blue print with the sparrows and pinecones. What about porcelain fixtures? You’ve always adored porcelain. Yes, porcelain fixtures with bronze components ought to do. OK, what about the cabinets? Painted wood will do fine; maybe a seafoam color? On to the mirror. A small vanity will do, with a bronze frame. And you’ll put a standing full length mirror in the corner. What kind of fixtures do you want throughout your master bath? One sink or two? Or a long basin sink? Ooh, that does sound like a good idea. Now, you have to consider the lou. I’d vote for one of those new-fangled hyper efficient models. You’re a sustainability conscious individual after all. A bidet? No, that’s too much. Shower? Tub? Shower and tub? Jacuzzi spa tub? You want the full spa treatment at your fingertips. Let’s go ahead and do a tiled shower with two shower heads. OK. And you simply must have a bathtub. But you like classic style. 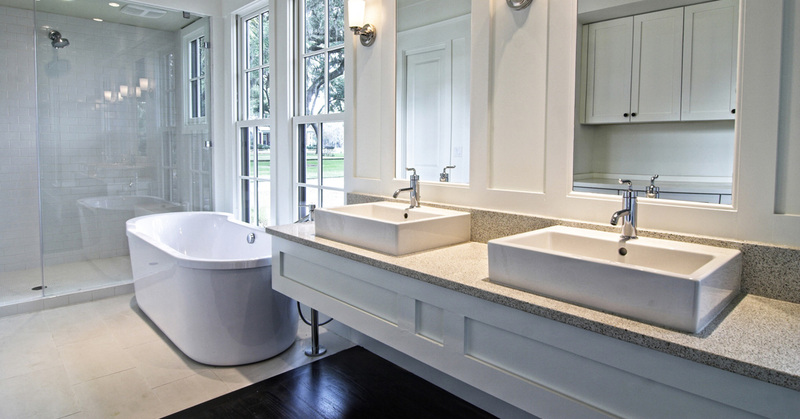 To keep with the aesthetic of the room, you opt for a porcelain, clawfoot tub… with jets. Where are those towels gonna go? You’ll need a towel rack near the tub. A couple of hangers near the shower. Do you want room for a hamper? I suppose near the counter will do. Don’t forget to make it easy to get a new roll of toilet paper. Wait. You need a closet! With shelving for extra toiletries, fresh towels, cleaning supplies… what else? Oh, oh! You’ve always wanted heated floors; you’d better build that into the design before the floorboards are laid. Ah, and now that I’ve mentioned it, wouldn’t the shower be better equipped if were also a steam shower? If that’s the case, the entire apparatus had better be enclosed in glass, and you’ll need better ventilation. Done? I think that ought to do for now. Let’s hit the drafting table. Here at DrafterMax, we know design. From the tiniest detail to the big picture, we’re here to provide you with the dream designs that you’ve always had in mind. Work with our architectural draftsmen for drawings and designs, including 3D renderings. We even provide shop drawings! DrafterMax is based right out of Brooklyn, and our team consists of engineers and architectural draftsmen. Get a quote for your project today!